Slow cooker side dish are a lifesaver when cooking big meals. 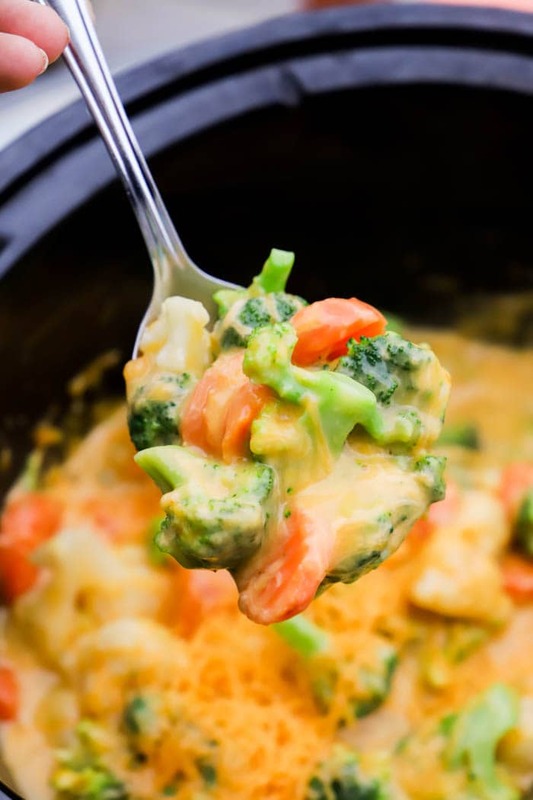 This Slow Cooker Cheesy Vegetable Casserole is so simple to make and it tastes amazing. All you need is to dump it into the slow cooker and walk away! Making side dish recipes in the slow cooker is pretty much the best thing ever. When it comes to cooking big meals for parties, a large family or even a special holiday making your sides in the slow cooker will save you time and even space. When it comes to roasting a turkey or baking a ham it can take hours in the oven. 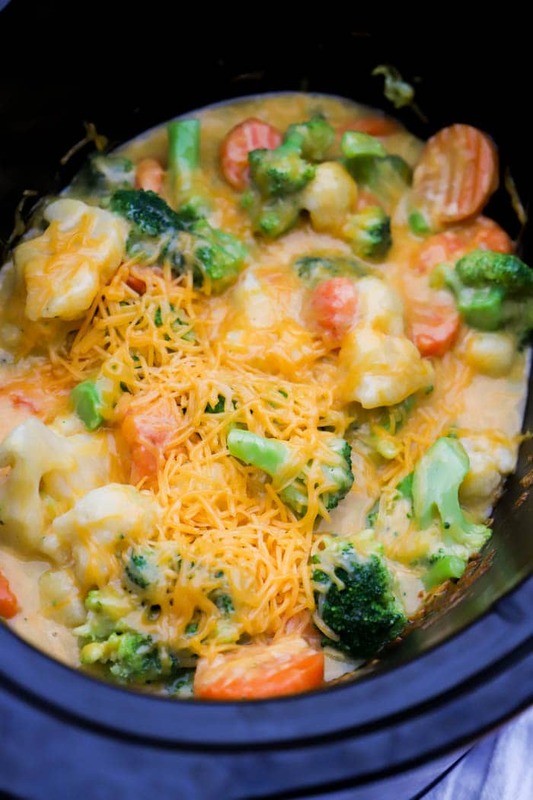 This Slow Cooker Cheesy Vegetable Casserole is so simple to make. I just dump it all into the slow cooker, give it a good mix, then let the slow cooker do all the work for you. Once your veggies are tender and cheese is melted you are good to go! Step one: The dump part. Just place the vegetables, cheese soup, vegetable broth, and half of your shredded cheese in the slow cooker. Step two: Time to mix. Mix everything right in the slow cooker. Once it’s mixed place the lid on and let it cook until the vegetables are tender and all the cheese is melted. Step three: Last all you need to do is add remaining cheddar cheese on top and cover with lid. Allow cooking for an additional 30 minutes until cheese is melted and all vegetables are tender. Slow Cooker Mashed Potatoes: These are so simple to make. No boiling ahead of time just place it all in the slow cooker then mash once cooked. Simple and easy it the way to go! Slow Cooker Mac and Cheese: This recipe is my all time favorite way to make Mac and cheese! 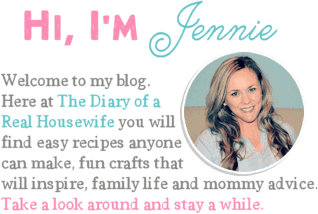 It’s so easy and tastes amazing, you are going to love it. Slow Cooker Cheesy Potato Casserole: This one Y’all is my pride and joy! 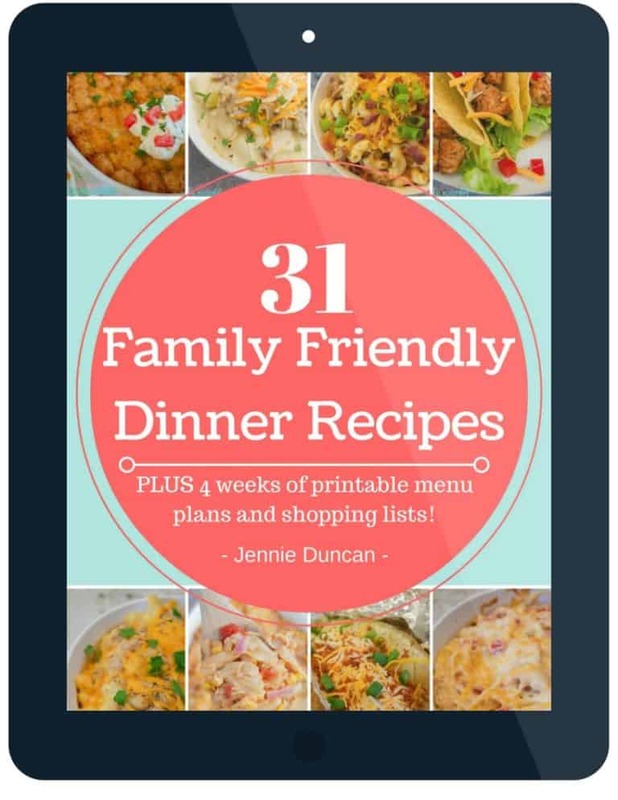 The best recipe and so easy to make, everyone loves it! Place California medley vegetables, cheese soup, vegetable broth, and 1/2 cup of cheese in the slow cooker. Mix well and allow to cook on low for 3-4 hours. Add remaining cheddar cheese on top and cover with lid. 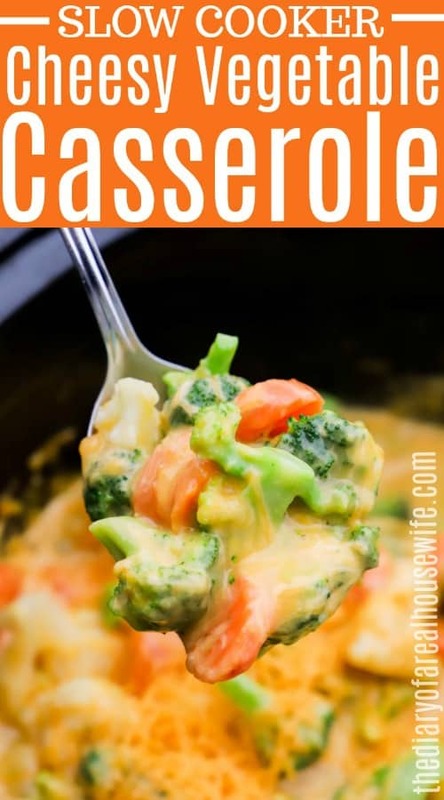 Allow to cook for an additional 30 minutes until cheese is melted and all vegetables are tender. This looks delicious. I may be able to get the kids to eat some veggies if it’s topped with cheese. Would fresh veggies work in this recipe? Thanks for sharing. Yes fresh veggies should also work! You just may need to change the amount of time they cook and add a little more broth. I would add about 1/4-1/2 cup more broth for fresh and add 30 more minutes at a time until the veggies are tender. Hope you enjoy them Rhonda! How much is a serving ? A cup ? 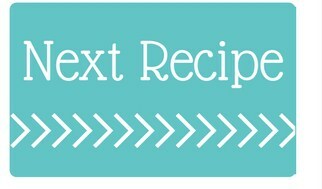 Hi Haley, this recipe has 5 servings so a serving would be 1/5 of the recipe which is about a cup. Do you put the veggies in frozen or thawed? Hi Meghan, I dump these veggies in frozen!